Rio has a problem with robbery, and has a high rate of armed robbery, petty theft, and car jackings. Tourists are sometimes mugged, even in touristy areas. But so are Cariocas (the people of Rio). Robbery can happen to anyone. Rio de Janeiro is a big city, much like any other in other parts of the world. New Yorkers will remember the high rate of robbery and muggings in the 1980s and how people were "afraid" to visit. That is now happening to Rio. But if you travel to any city in the world, even in developing countries, you run the risk of getting robbed, especially in places with lots of tourism like Spain and Italy. Police corruption and violence is a major problem in Rio. But that doesn't mean the police aren't there to protect and help civilians. The drug trade fuels violence and violent crime in Rio. Drugs = money = powerful guns. Therefore, buying or doing drugs in Rio helps contribute to thousands of lives lost each year due to drug-related and funded violence. Marijuana, and even cocaine, may not seem like a big deal to foreigners, but here, any participation in the drug trade helps fund the violence that tourists fear so much. If you are interested in doing drugs, stay home. Rio is a big war zone and it's not a safe place to visit and you can't even walk around the streets. The majority of the violent crime that takes place in Rio happens in the favelas (slums), mostly due to shoot-outs between drug traffickers and police. Though this sometimes may spill over into other parts of the city, this happens in the suburbs and in the poor areas were tourists do not go. The touristy parts of the city, namely Zona Sul (Ipanema, Copacabana, Botafogo) and Centro (Centro, Lapa, Santa Teresa), rarely see this kind of violence. You WILL get mugged if you travel to Rio. Though you run the risk of getting robbed, getting mugged is NOT an inevitability. Using caution and good sense can many times help you avoid this happening. For example, flashing expensive cameras, jewelry, and clothing in touristy areas can make you a target, and walking around at night alone or with few people is not a good idea. You run a risk of getting mugged in all Latin American cities, and most big cities for that matter. Armed criminals roam the streets with advanced weaponry. Though armed robbery does happen, drug traffickers stay in the favelas to protect their territory, which is where the really big guns are found. I saw City of God and that's how I picture Rio. City of God is based on real facts, but it is also based in a favela. There are tours of favelas for you to see how people live, but you never have to pass through one if you chose not to. City of God is NOT the Rio you will see as a tourist. Traveling to Rio is too big a risk to make a trip worthwhile. Rio, according to many, is one of the most naturally beautiful cities in the world. There are countless sights to see, beaches to explore, cultural events to attend, and people to meet. You run the risk of getting mugged or encountering violence in most cities all over the world, especially in the developing world. If you're too afraid to face reality, stay at home and watch TV. I am risking my life by traveling to Rio. Though there are a few cases of tourists getting killed in Rio, the chances are very low. The problem is often when people try to resist a robbery, and if you don't do this, you should be just fine. Your life is more important than money or a camera. Robbers are looking to get your money, not to end your life. You risk your life traveling to many places in Africa, to Israel, to parts of South Asia, and even to some developed countries. Here, your greatest risk is losing some money. Last night was that interesting, but then again I wasn't feeling so hot since I now have yet another recurring gum infection and am taking antibiotics. So I went over to visit Eli at work, bought myself some pizza, and hung out with him, his carioca friend, and the foreign guests. On my way, I passed this doorway to a store, or apartment, and there was a man lying completely naked from the waist down with his feet sticking out the door. I flipped out and told Eliseu, but when he went to look, the guy was gone (I must have scared him). He said that guy was known for having severe mental problems and wondered why he wasn't in some sort of institution. When I passed by the second time to get the pizza, there was a different man in the doorway, contentedly playing an accordion. We hung out and I watched Eliseu help people climb the rock climbing wall, a pretty amusing event. Some people made it to the top, while others, like a very drunken British girl just climbing so the French model who was helping her climb would touch her on the way down. I also talked to a petrified American girl who had come here alone and hadn't seemed to do any research about what to see or how to get anywhere. I tried to help her out a little but her absolute fear of everything was a little ridiculous. I got to see other parts of the hostel this time and there's this secret little roof that reminds me a lot of little roofs in Brooklyn or Queens, where you go up a set of stairs and suddenly you can see the stars, even though you're in the middle of the city. It's been ages since I've seen any stars. Then after I walked back with Eli and a group of people, who were going out, and the way the clouds had settled on Cristo made it look like he had angel wings. It was profoundly weird. 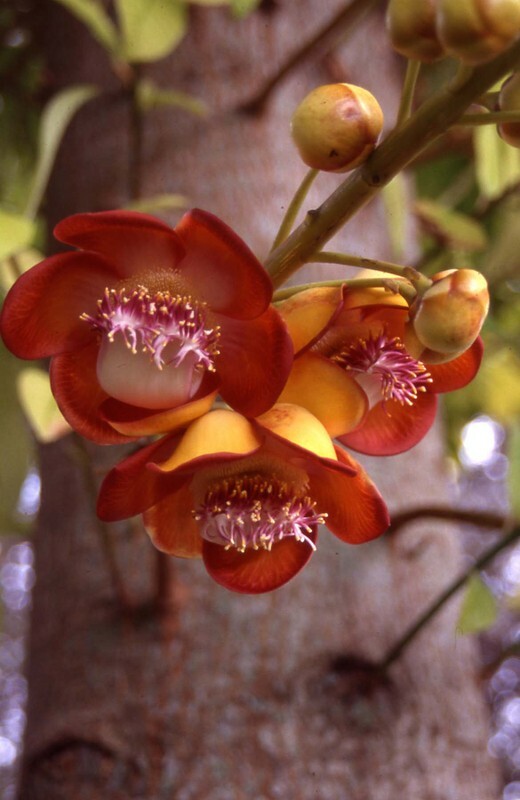 And the cannonball trees are in bloom everywhere. They are so crazy and gorgeous. See BBC's coverage of Lula's visit to Rio yesterday. And check out my new Page, "The Real Rio: Fact and Fiction." It's funny, because yesterday I taught my student about culture shock and how it changes from day to day and can last for a long time, with some good days and some bad days. Of all the days I've been here, for nearly 5 months, today is the day that I have most wanted to go home. Aside from the Hillary Clinton HQ hostage crisis, here's what's going on in Brazil today. Lula was in Rio today visiting the favelas, where he launched a new social program and greeted favela residents. English version story here. David Beckham is coming to Brazil in January. This is big news apparently. An English-speaking gringo was robbed in Copacabana today, and was featured on the news as saying he was pleased with the quick police response time and still very much liked Rio and was having a lovely time. Today in Sao Paulo, after robbing a bank, a group of thieves had a shoot-out with a cop on the subway, leaving 3 bystanders shot and 16 injured. In Salvador, Bahia, a 22 year-old woman was arrested for beating up her 85 year-old husband. Neighbors say it's not the first time she has abused him. Something is off here, don't you think? 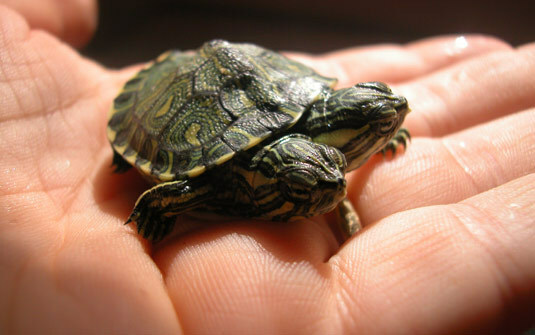 In a truly weird story, a two-headed turtle was born in the state of Parana. Each head eats different things, and the turtles are a rare albino kind. 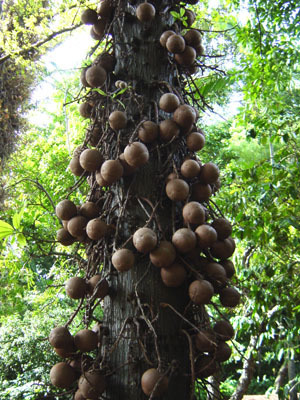 There are only 3 other recorded cases of the kind in the world, in Brazil, the US, and Cuba. The Jogos Indigenas are starting this week in Pernambuco, a type of Olympics for indigenous communities of Brazil. They will play indigenous sports and also swimming, soccer, archery, and wrestling. In American news, singer Akon tossed an unruly fan off the stage in upstate New York, near Poughkeepsie, knocking over another fan and giving her a concussion. Today I got the nicest van ever to Barra. It was clean and smelled nice, and the guy played good and relaxing music the whole time, and personally greeted every person who got on. I love Brazilians like that, who are such gente boa, good people. He also had a sign hanging on the window called "The 20 Keys to Success," including, things like treat others as you'd like to be treated, etc. But my two favorites were "Don't make any decisions when you are tired or upset," and "Never take away another person's hope; it could be the only thing they have." Today only one of the girls was there for class, so I gave her a little prep class for moving abroad, talking about international flights, culture shock, and reviewing cultural differences. She told me one of the things she will miss is "Portuguese." Then she took me out for an acai which was very sweet. They are such sweet girls but I feel like they don't quite grasp just how completely their lives are about to change. I'd be really good at working for a study abroad program. Too bad there are no companies working here in Rio (just direct exchanges). Gotta rest up to go out. Thank you, BBC, for being such an excellent news source. The Simon Wiesenthal Center has announced the launch of Operation Last Chance in South America, in which the last Nazi criminals from the Holocaust that are hiding somewhere on the continent will be hunted down and brought to justice. Authorities are searching in particular for a Mr. Aribert Heim, also known as Dr. Death, who was responsible for atrocities at Austrian death camps during WWII. He has a $448,000 price tag on his head, which some hope will help shed light on his whereabouts. The participating countries include Argentina, Chile, Uruguay and Brazil. Though Heim's family claims he died, there is a bank account in his name with about $1 million sitting in it, unclaimed, leading authorities to believe he is in fact alive. 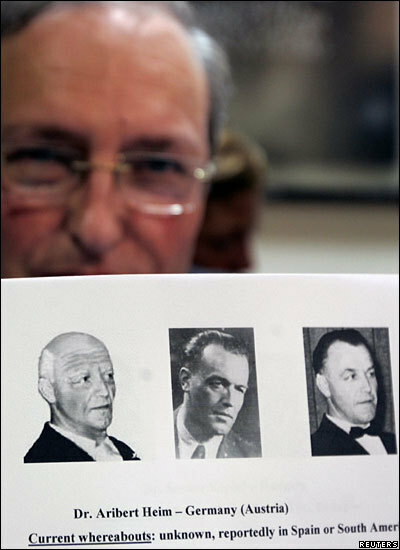 In the photo above, the middle picture is Heim during the 1940s, and the picture on the left is what authorities believe him to look like today, with a large scar running down the right side of his face. For the complete article, click here. Colombia has released photos and video footage of hostages held by the FARC for around 5-6 years, including former presidential candidate and dual French/Colombian citizen Ingrid Betancourt and 3 US citizens, former defense contractors. FARC is demanding the release of hundreds of rebels in exchange for the release of the hostages. The hostages are alive, though Ms. Betancourt appears to be dangerously thin and completely out of it. Also, since FARC talks in Venezuela didn't go so well and now Chavez has refused to have diplomatic relations with Colombia until Uribe is gone, things don't seem to be going on the right track. The full story here. BBC reported on the story I reported on about Lula visiting a Rio favela for the first time and his plans to launch the social program there, worth about US$1.7 billion in total in the city of Rio. Click here unless you already read my coverage. Lula is arriving today, which probably means when I come back from Recreio the traffic is going to be horrendous. Finally, in a great story by Mr. Duffy, African Americans from the US are flocking to Brazil to see how Brazilians embrace their African roots in a way that you just can't find in North America. Here in Brazil, slavery was only abolished in 1888, the last country in the Americas to call for an (official) end to the practice, and 40% of African slaves brought to the Americas ended up in Brazil, making Brazil the home of the largest African population outside of Africa. But unlike in the US, black Brazilians still struggle to advance socioeconomically and form cohesive political and economic forces to represent their interests, says the article. Full text HERE. But in my opinion, one of the fundamental differences between US African Americans and Brazilian African Americans is that in the US, the line between white and black is a deep one, with far lower instances of interracial couples, marriages, and social mixing than here in Brazil. In the US, I think blacks have felt pressure to build their own social and economic blocks to protect themselves and represent their own interests which tend to be ignored in the highest, and even middle rings of government. It is true that in Brazil blacks are statistically worse off than others socially, economically, and politically, but part of the reason, I think, that Brazilian blacks haven't formed these black fronts to represent their own interests is because society is a lot more mixed and people don't necessarily see themselves as Black, but rather as Brazilian. I think people identify much more with social class than with race: the majority poor, a significant lower middle class, a middle class, and the small upper class. There certainly need to be measures to help blacks catch up (there are quotas in education and jobs similar to in American universities) but I think that socioeconomic divides are much more important here than racial ones. In fact, when you really took a good look around Brazil you will see that Brazil is the Real melting pot, as opposed to the US, which I think looks more like a salad bowl. Riding on the Metro, for example, is a great opportunity to see this. People of every color of the human rainbow sit and crowd next to each other: black and brown and coffee-colored and caramel and extremely pale and lightly tanned and people of Indian and African and European and Middle Eastern and Latin American descent all come together on their way to work or school. And, unlike in the US, you'll see groups of friends of all different origins, boyfriends and girlfriends of opposite ends of the skin color spectrum, old black friends finding an old white friend, co-workers and even parents and children of completely different shades. Though Brazil's myth of "racial democracy" doesn't seem to be a reality quite yet, on the Metro there does seem to be a racial harmony, a kind of harmony you see so infrequently in the United States. So, in the news is a big deal about an British teacher teaching English abroad. In Sudan. She had her students name a teddy bear and they decided to name it Mohammad, and now she is going to jail and will then be deported. I've read about it and seen people talking about it on CNN, and the general feeling is Wtf. BBC also did a nice little ditty about learning to respect cultural differences when teaching abroad, check it out here especially if you are an English teacher! Luckily, things like that here are not as much a big deal, since our cultures are more similar, but you always have to be careful. See the BBC article about Brazilians' sensitivity to criticism in yesterday's post. Today was not a particularly red letter day, but interesting nonetheless. Have you ever been eating somewhere and realized you didn't have enough to pay the bill? Yeah, that happened to me today. I went to one of my favorite lunch places, that is kind of pricey but has really yummy tabouli so I decided to splurge. Except, even after clearly seeing the sign "we are not accepting credit cards right now" I conveniently forgot I had spent some of my money on a metro ticket. So I waltzed through, getting a little bit here, and a little there, and was really surprised when the weight, though not huge, turned out to be almost R$30, which is ludicrous for here. But in any event, I sat down and started happily eating away until suddenly I realized I didn't have enough cash, and panicked and started counting my money. I was short by a little over 1 real. I ate the rest of my lunch totally panicked, trying to figure out what creative ways I could iron out the situation. When it came time to pay, I pretended that I didn't know my card doesn't work with debit here, and the lady tried a bunch of times to let me use debit and of course it didn't work. So then I was like, "Well I'm short on cash," and the security guard suddenly appeared at my side and was like, "It's no problem. This guy can take you to the restaurant upstairs and charge your credit card." I breathed a huge sigh of relief, albeit an embarrassed one. Brazilians always know how to "dar um jeito," or find a way of getting around things or making things work out. Thank god. During my first class, my students introduced me to a guy working with them who wants private lessons. Apparently he has a Fulbright (or trying to get one) to study abroad and needs to pass an English test. We chatted and finally he asked how much I charge (R$50/hour) and he was like uhhh wooahh ok well I don't know about that we'll see. The thing is, I'm beginning to understand how Brazilians feel and how the upper and middle classes start to feel here. I'm trying to give my time to a good cause at the ballet school yet there are so so many people in need here, even in the middle class. And I just don't have the time, money, or patience right now to be able to help out. I started to feel like a Republican with my indifference. I found out that the amazing flowers outside our apartment are gardenias. They are awesome. Today I went to buy my pre-Canadians a little going away present (diaries) and there are a bunch of fun stores on this little side street in Centro, with tons of stores and street vendors on traditional streets with gorgeous architecture from the early 1900s. There's a guy selling fresh guavas out of a wheelbarrow and old ladies chomping on guava halves as they walk along the outdoor stalls. There's a guy frying shrimp that smell deceptively good but are most likely a one-way ticket to diarrhea. Today I handed in my time sheet and apparently November was my highest earning month so far with my main school, because I went to Recreio twice a week. I'm happy about that but today I was just so unbelievably short on patience and was desperately happy when my last class was cancelled. Lula is in Rio today, launching the new social program in a favela in Ipanema/Copa, like I discussed earlier this week. This is one of the preparations for his arrival. There is also, as to be expected, enormous amounts of security. One of the most popular board games here is called "War" (not translated), which is a board with a map of the world and you have to move little pieces around and try to conquer as many continents as you can. Some guy decided it would be cool to make a game called "War in Rio," which is a map of the city and the military police, BOPE, regular police, and drug traffickers battle it out to control Rio. The creator said the idea was a "joke in bad taste" to get people talking about the problem of violence in Rio. IT is pretty bad taste, indeed. In a case of robbery gone wrong, a would-be thief tried to hold up a 40 year-old woman in a Rio suburb last night, and was very surprised when she beat the crap out of him and her screams for help got the attention of bystanders who helped hold the guy down and police arrested him. She got a little beat up too, but came out the winner. Nice. my grandma is coming to visit in January!!!!!! followed shortly after by my parents in February!! brother...cousins...aunts uncles...cough cough. you better be next! I'm going to make the news pretty quick because I need to sleep. Chavez is getting crazier by the minute, if you haven't heard about it, you're probably living under a rock, so yeah. The big news today is that the new UN Human Development Index for the year was released, and Brazil has now made it into the coveted "Developed Countries" club. It came in as the 70th most developed country in the world, so I wouldn't get too excited yet, guys. But there were a lot of great articles that came out about the new report and I'm going to do a special tomorrow about it. Next, the stadium in Bahia where 7 people died this week is going to be demolished and a new one will be constructed. The government official responsible for investigating the case of the 15 year-old girl (who was imprisoned with 20 men and repeatedly abused and raped) has seriously put his foot in his mouth. Yesterday he announced that it was the girl's fault for the crimes committed against her because she has a "mental condition" and made a mistake in not telling the police that she was a minor. So essentially he was saying it was this girl's fault for winding up in a cell with men and getting raped. Thankfully, the governor of the state of Para semi flipped out at him and he is seriously back-pedalling and trying to twist his words into making some semblance of sense. Good job. In a particularly gruesome and creepy story, today a murderer was charged for killing and hiding the remains of a businesswoman right here on the very street where I live in Botafogo. The 30 year-old pyscho was working at a veterinary clinic on my street, and got in an argument with the businesswoman. Apparently she called him "skinny." Then one day after the argument she came back, and the guy thought it was possible she was armed, and so hit her over the head, knocking her unconscious, and then slit her throat, quartered the body, and hid the remains in trash cans in different parts of Botafogo. You think that's bad? Here is the worst part: he was condemned to just 22 years in prison, meaning that when he turns 52 (or knowing the prisons here, possibly before then), he will be a free pyscho again. On a lighter note, this is a great article from BBC about how obsessed Brazilians are with their image seen through foreign eyes. It's a must read. Check it out here.